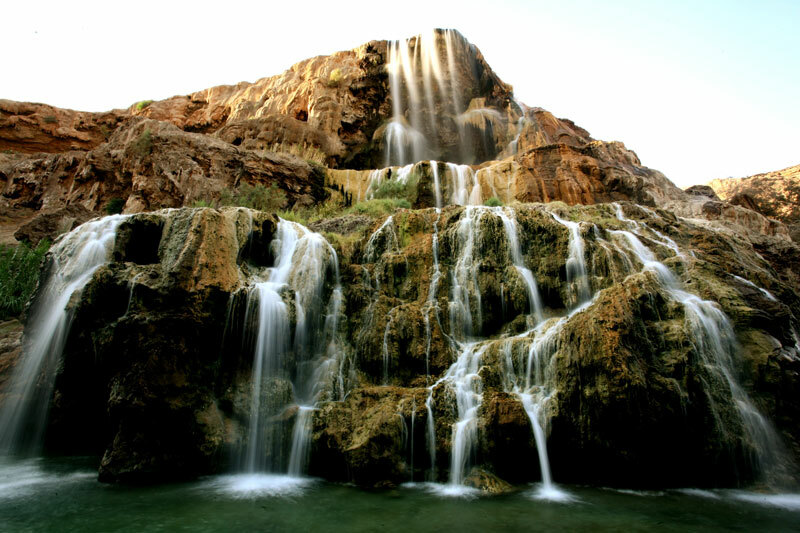 At 120 meters below sea level and in one of the most breath – taking desert oasis in the world, lies another natural wonder: the Ma'in Springs (Hammamat Ma'in in Arabic ) and the hyper – thermal waterfalls that draw thousands of visiting bathers every year. 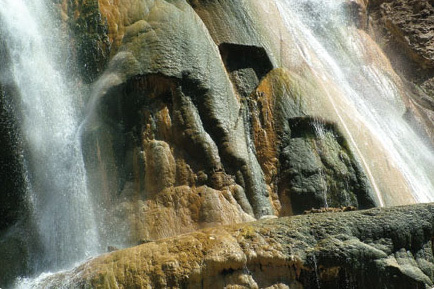 The mineral rich waters that feed the 109 hot and cold springs in the valley originate from winter rain falls in the highland plains of Jordan. Through the years, this water slowly seeps into the lower bedrock layers. Most of this water, however, becomes heated to hyper thermal temperatures of up to 63 C by underground lava fissures before it pours out of the mountain and into the Zarqa – Main river.